DIY environmentally friendly crafts and home decor. After everything is dry, then start adding the spokes. I also suggest doing this on a hard surface so you can move it inside without messing it up. This is really the part that you don’t even want a cat to even look at. 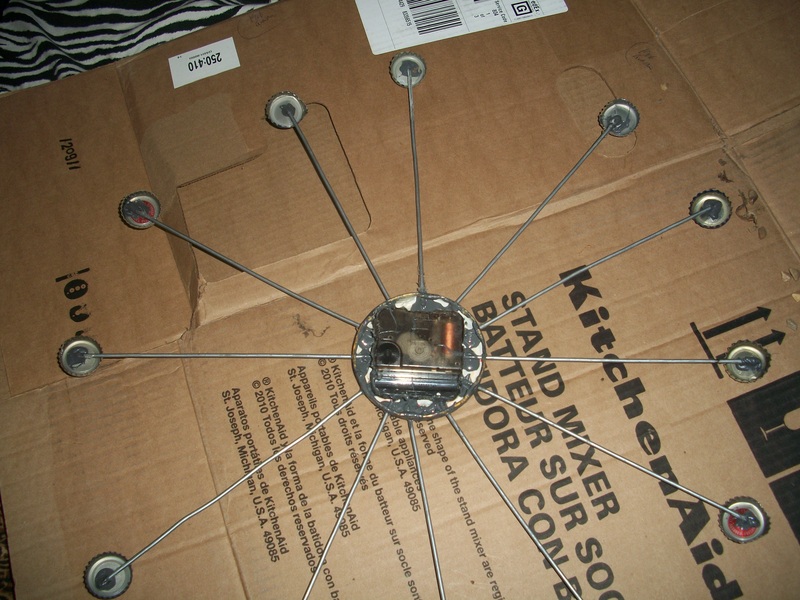 Arrange and space the spokes like you want them and then take a popsicle stick or something like that and dab the Weld on the sides of each spoke. Twist around the spoke a couple of times to make sure there is Weld that will connect the spoke to the jar. Do this 11 more times and then let it dry.